Two weeks ago, if someone told me that traveling to El Nido can be done on a budget, I wouldn’t believe it. Now that I’ve been there, I can say that it *is* possible. Not counting the travel expenses to and from El Nido, staying in El Nido town can be quite cheap, given the range of budget accommodations available, as well as affordable canteens and restaurants scattered throughout the small town. It’s not surprising that a lot of backpackers from all over the world flock every year to this gorgeous place, as well as a growing number of Filipino budget travelers. During our off time (one day spent resting in between island hopping adventures), I decided to walk around town and check out some of the affordable places to stay in El Nido. This is a short list compared to several available online, but these are places that I have looked at and doesn’t look too dodgy. I wasn’t able to check the rooms on offer on most of them, but I have chatted with the owners or caretakers about their rooms and facilities. I they were kind enough to answer the questions of this pesky traveler who wasn’t even planning on staying at their place, they’re automatically included in the list. They let me check out the Light Room, which is their most expensive room at Php 1,800 per night. The room has two double beds, and has space for an extra mattress. It has ensuite toilet and bath (no hot shower) and a veranda overlooking the beach. There is no direct beach access from the veranda. Fan rooms only. All rooms are priced at Php 1,300 each. I vaguely remember the caretaker telling me that there is only 1 queen sized bed in the room (or was it 2 single beds? ), but I do remember her telling me about a group who stayed the week before who were able to fit about 8 people inside. They just paid for the extra mattresses (Php 100 per mattress). The lodge is fronting the beach, but there is no beach access from the veranda. There is also a restaurant on the ground floor fronting the beach. There’s also a monkey in the premises. He is not caged, but on a leash. He’s right near the entrance, so watch out as he does lunge at people passing by. This is great budget option for big groups. The house is right at the beach, has 2 aircon rooms, one large living room, has a large balcony overlooking the beach and a service staff. Og’s Pension is beachfront, but access to the building is through a small alley off M. Quezon. They have a restaurant right on the beach, which is probably why their guests wander over to Marina’s beach front to sunbathe. Cashew Mango is undergoing major expansion, adding 9 rooms to the current 5. All rooms are air conditioned. They have 2 beach front rooms at Php 2,500 per night. Most expensive cottage is at Php 1,800. Rooms can accommodate up to 3 person. Additional bed cost Php 150. Beach front property with quaint nipa cottages. Most expensive cottage at Php 1,300, Php 300 for extra bed. Not beach front, but the beach is just about 7 minutes away on foot. Most expensive room at Php 700, good for up to 3 person. Set outside the town proper, but still a comfortable 10-minute walk from the beach. i really LOVE this blog thanks Justwandering! Thank you so much, your posts are very helpful. Hi, I loved your blog and website. My wife and I are traveling to Palawan in a week or so. We are not booking anything up front and hope to be able to get a place to stay when we get there. 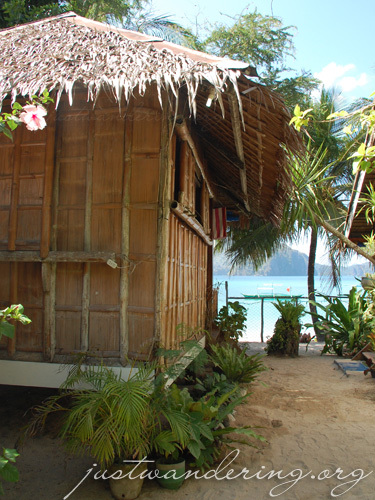 Borrowed your cheap accommodation map for our feature on How to Travel Palawan on a Budget. Thanks for the really helpful posts Nina! 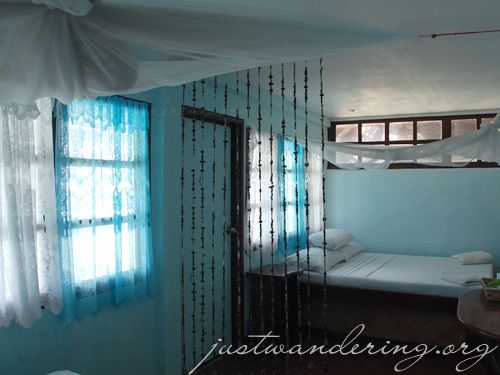 I’m currently searching for a place to stay in El Nido, and this site is truly very helpful. Thanks! Thanks heaps, Nina. This is really informative and useful. I and my husband are planning a trip to Palawan, and is worrying with the towering prices of accommodation, until I came across your blog. Thanks ate nina for this! Going na bukas! Found what I was looking for! I just saw that you flew…debating on whether to get the van from Puerto since I want to also check it out. I love your maps and your budget breakdowns. this is quite a list! very helpful & informative indeed… thanks a lot!! Thanks. I have been looking and not finding anything. Thank you for the time you spent. If you have limited time, I advise that you just spend it in Puerto Princessa and the surrounding areas. Great list! Thanks so much. hi do you have any recommendations for CORON? TY! Hi! 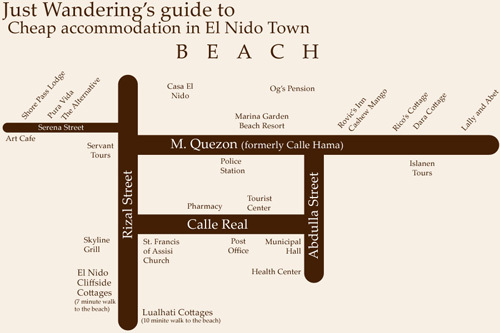 Where did you stay in El Nido ? P.S: Your blog is so helpful. It helped us during our Boracay vacation last summer. We stayed at Marina Garden Resort. I have a review posted as well. Hi Manilyn, sorry for the late reply. For El Nido, you don’t have to book a tour in advance, unless you have a specific itinerary in mind and want to have the entire boat to yourselves. Otherwise, you can just walk into any tour operator in El Nido town and ask which tours can still accommodate you. Of course, if you do this second option, you’d have to share the boat with other tourists. If you want, I can recommend a contact in El Nido who can arrange a tour for you. hi nina, i found your blog very helpful and informative. will be going to el nido this coming october31 to nov4. can i have your contact in el nido for arranged tours that me and my husband is planning. you may email me the contact details. We were at Marina Resort for 6 days. Beautiful place with hammocks at the beach front. The service was excellent! people are friendly and prompt. Wifi is 24hrs. We stayed in a fan room but no complains at all except some “ANAY” (wood insects) at the window and a “tokko!” animal sound every night! Other than that, I will give this resort a buy…great job! hi ! !for low budget we find this -www.labanane-hostel.com – ios good and nice staff! Myra, I did not get the contact number of our tour operators during this particular this. 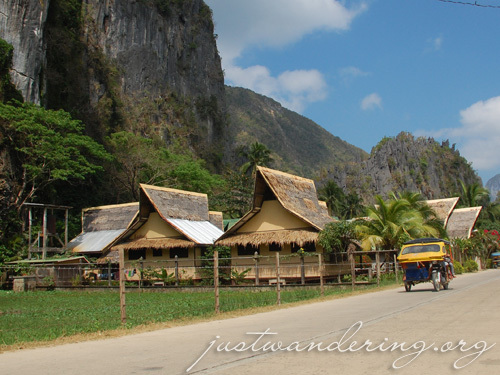 There are plenty of tour agents in El Nido town, and unless you really need to arrange for a special tour ahead of time, there’s no need to contact anybody. However, if you really want to customize your tour, you can contact Aleo Almedo at 09215964365 or 09278800763. He has his own boat and if you want an exclusive tour or if you want to camp in the islands, as we did during PHL360, he can arrange that for you. saving this page for my el nido trip next week! thanks a lot nina! hahaha, but this list a good place to start. got a 300/night room! adaphobic and lakas ng trip stayed there too. Just what I was looking for.. planning for my trip next month.. thanks for the list Nina.. I’m gonna fly in through Puerto Princesa and will have to take the van to El Nido then.. hopefully the road conditions are ok..
Hey Dan, I was just in El Nido last April, and the road is still not finished. About 70% of the drive was on very rough road. Bumpy ride aside, it’s not so bad. Enjoy your trip! fan but windows can be opened for ventilation. the rest of the trip is pleasant. 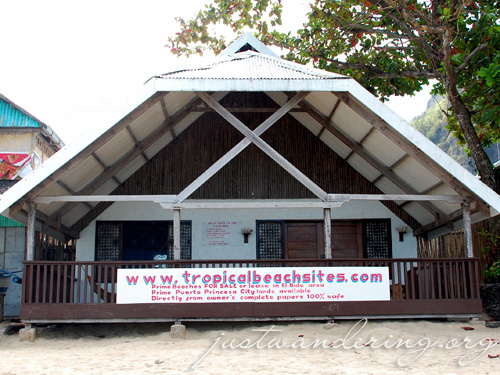 For cheap accomodation in El Nido, Biolinas guesthouse is a recommended place. It is clean and has private cr. For 1000 pesos, me and my 2 friends stayed there. 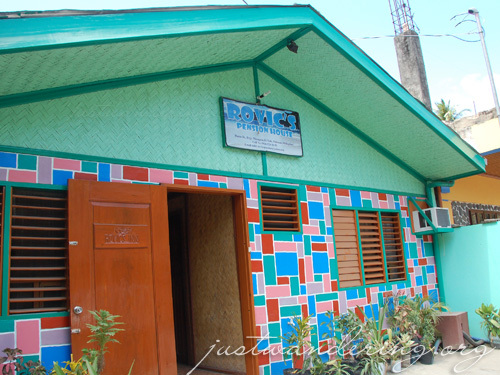 It is only 333.33 per pax.. the owner is so friendly and very down to earth.. you may contact biolina’s guesthouse at 09102005072..